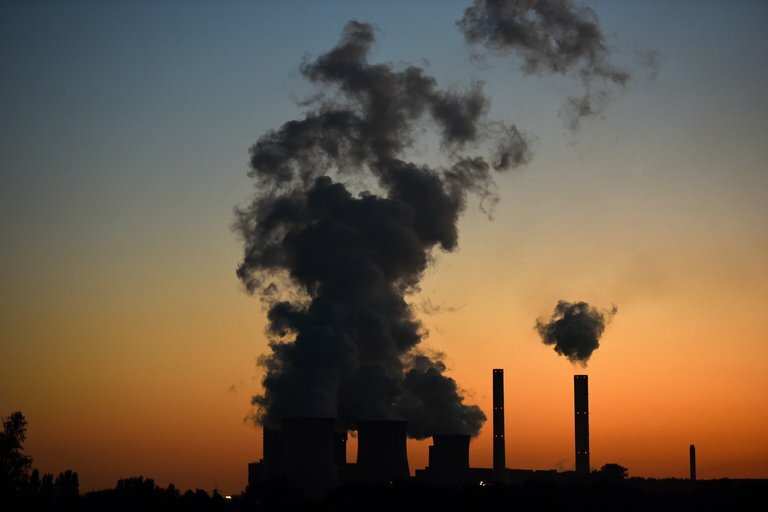 Fossil fuels emit planet-warming carbon dioxide when burned, but Ohio State University researchers report advances in capturing those gases before they enter the atmosphere. As emerging technologies go, the idea is appealing — the ability to burn fossil fuels in order to generate energy but without emitting planet-warming carbon dioxide. That's the concept behind “chemical looping,” an evolving technology that's being aggressively developed by Ohio State University researchers. In recent years, the technique has earned interest from both government and industry, and new research published this week describes recent advances in making it a viable method for reducing carbon dioxide pollution. In two papers published in the journal Energy & Environmental Science, engineers detail a process by which shale gas can be processed into gasoline and methanol while consuming carbon dioxide that would otherwise be released into the atmosphere. Under certain conditions, the same process can also be used with coal and biomass fuels. 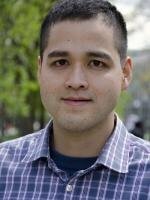 Andrew Tong, assistant professor of chemical and biomolecular engineering at Ohio State, said the process is part of a larger set of techniques sometimes referred to as “clean coal” technology. 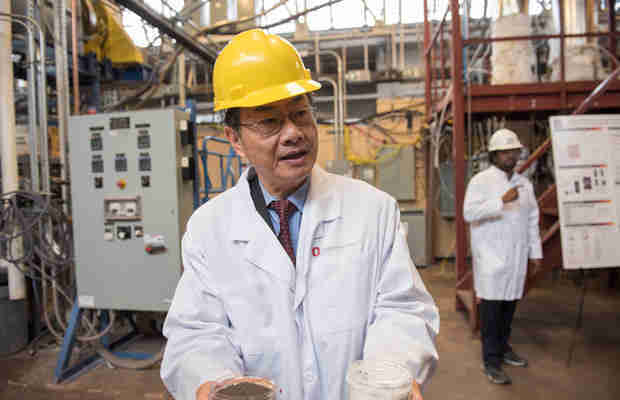 For more than five years now, Liang-Shih Fan, a professor in chemical and biomolecular engineering at Ohio State, has been developing a technology called coal-direct chemical looping (CDCL) combustion. In a statement released with the new research, Fan said chemical looping can be used as a “stopgap technology” to provide clean electricity until renewable energy systems like wind and solar power become commercially viable on a wider scale. "Renewables are the future," Fan said. "We need a bridge that allows us to create clean energy until we get there — something affordable we can use for the next 30 years or more, while wind and solar power become the prevailing technologies." The core chemical mechanism of the CDCL technique involves the use of iron oxide particles, which supply the oxygen for chemical combustion in a power plant or industrial facility. The metal oxide particles allow for the “burning” of fossil fuels and biomass without the presence of oxygen in the air. After combustion, the particles take back the oxygen, and the cycle begins again. As a kind of side effect, this process also isolates the carbon dioxide that is otherwise generated by combustion. Under optimal conditions, the technology captures more than 99 percent of all the carbon dioxide it produces, which is then stored. The upshot is that the carbon dioxide never enters the atmosphere and can be repurposed as a raw material for other useful products, Tong said. The challenge is to improve the efficiency of the technique to the point that it will become a viable and affordable option for industry. “Finding processes that can use fossil fuels to produce electricity and chemicals so efficiently — with little to negative carbon emissions and at low capital costs for investment – are necessary for widespread adoption of these processes across industries,” Tong said. The new research published this week also details improvements in the chemical looping particle that makes CDCL combustion possible. Five years ago, the particles for CDCL lasted through 100 cycles, allowing about eight days of continuous operation. Engineers have now developed a new formulation that lasts for more than 3,000 cycles — enough for eight months of continuous use in laboratory tests. The next step is to test the new formulation in an integrated coal-fired facility, and OSU is actively pursuing partnerships with industry. If it proves viable, according to OSU, the CDCL technique could be gradually adopted by industry within the next few years. Funding for the research was provided by the US Department of Energy and the Ohio Development Services Agency. Fan said he hopes these advancements will bring chemical looping technology closer to full commercialization, providing a bridge to future renewable energy systems. "This is my life's work," he said.